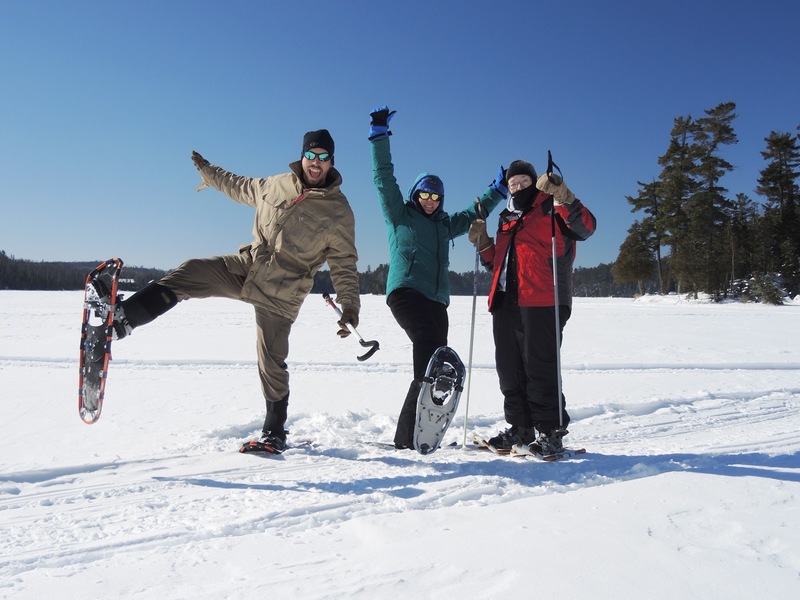 Enjoy the splendor of winter in the North Woods while sampling the activities it has to offer. 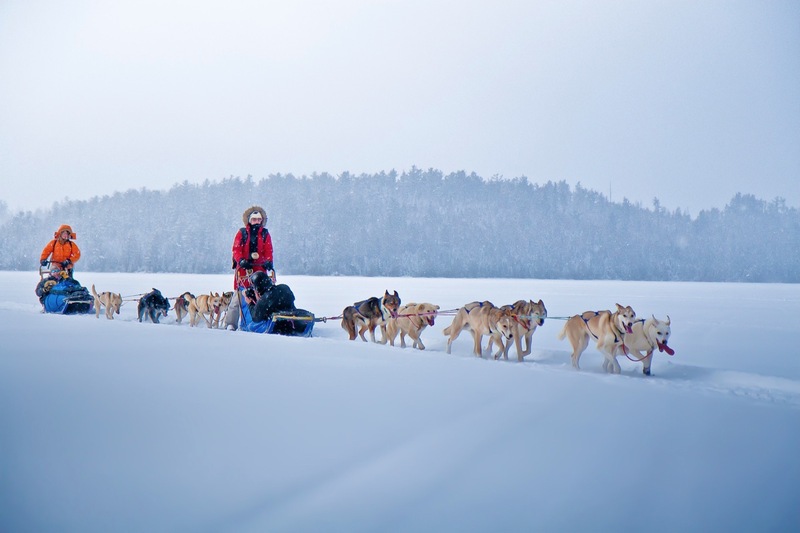 Dogsled across frozen lakes. Cross-country ski through snow-covered pine boughs. Snowshoe under the stars. 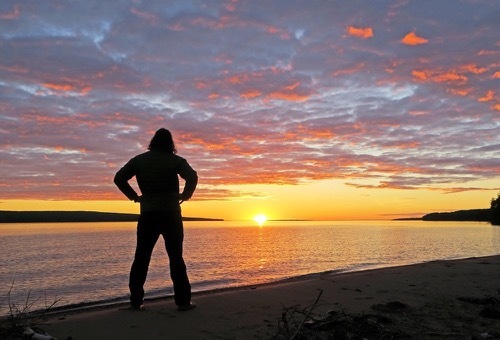 Enjoy the benefits of a wood-fired Finnish sauna, followed by a polar-plunge in the lake. Relax at night by a cozy fire in the lodge recounting the day’s adventures. Day 1: Arrive at Camp Menogyn and participate in dogsledding orientation. The trip starts in the late afternoon at Camp Menogyn near Bearskin Lake in the BWCA. 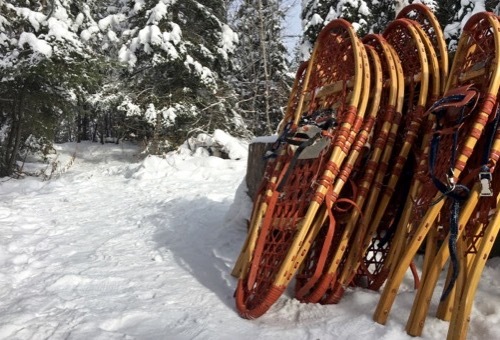 You will hike about a mile across the frozen lake to access the lodge. Upon arrival, settle into your accommodations before enjoying dinner. Afterwards gather around the wood burning stove for introductions to dogsledding and learning how to dress for the weather. 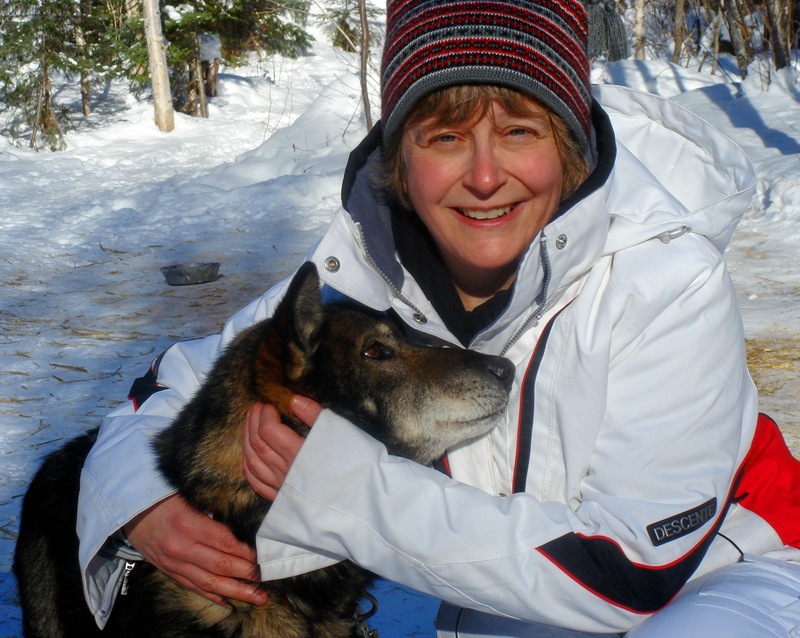 Day 2: Dogsled under the towering pines through backcountry trails before an afternoon hike to Caribou Rock. After breakfast and great coffee you will break into groups for half or full day activities. Options include dogsledding, hiking to Caribou Rock, snowshoeing down the Back Trail, cross-country skiing to Rose Falls, or trying your luck ice fishing (don't forget your license). 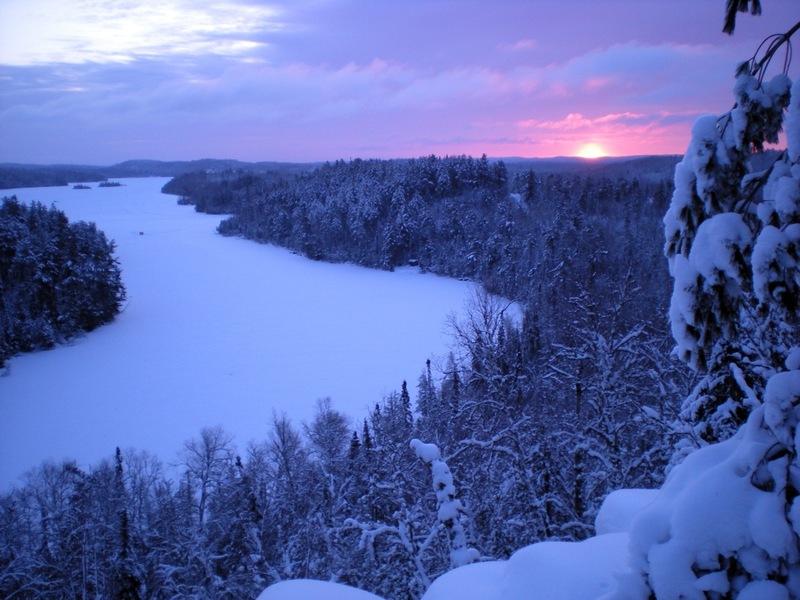 Enjoy dinner with the group before experiencing the stillness of a North Woods winter evening. You'll have the option to sleep under the stars in a quinzhee tonight! Day 3: Enjoy a morning snowshoe adventure before relaxing in the lakeside sauna. 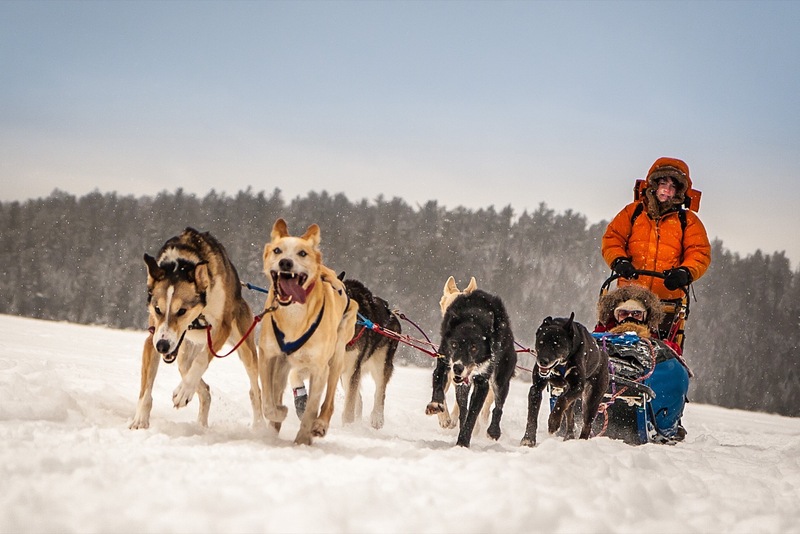 If interested, rise early to assist the mushers with feeding and caring for the dogs. 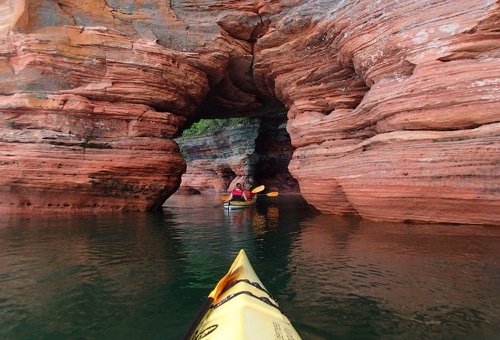 Try a new adventure or develop a recently learned skill as you decide between half or full day activities. 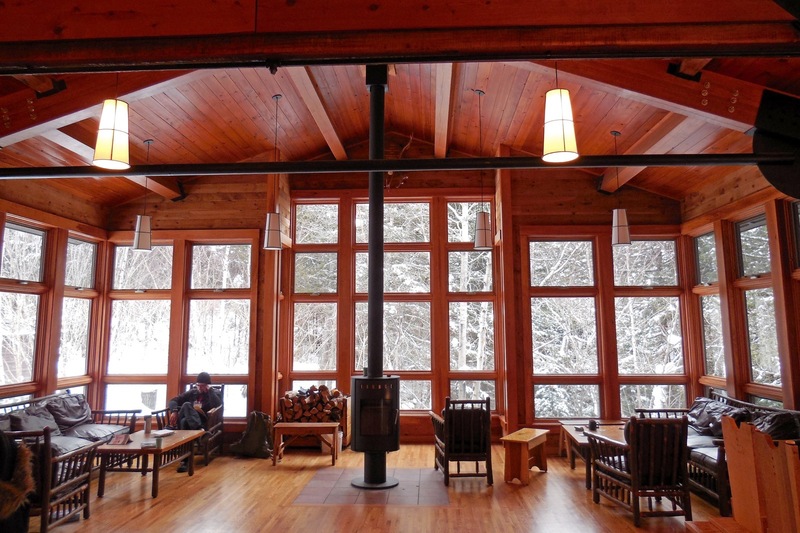 A relaxing afternoon by the lodge's wood burning stove is always an option too! Enjoy one last dinner and then brave the sauna and polar-plunge in the lake, if you dare. Day 4: Enjoy one last outing and then say farewell to your trip mates. 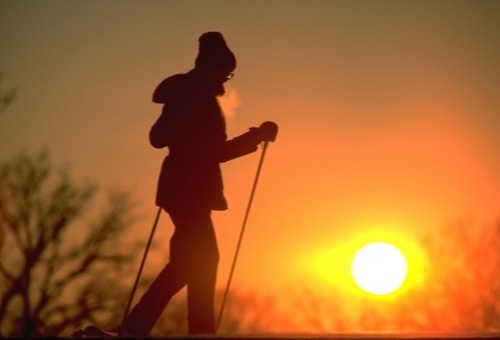 Early risers can enjoy one last ski or snowshoe outing before breakfast. After, pack and transfer personal gear back across the lake for the trip home. The trip officially ends in the late morning before lunch. If you use WI's van transportation you can expect to arrive back in Minneapolis by evening. 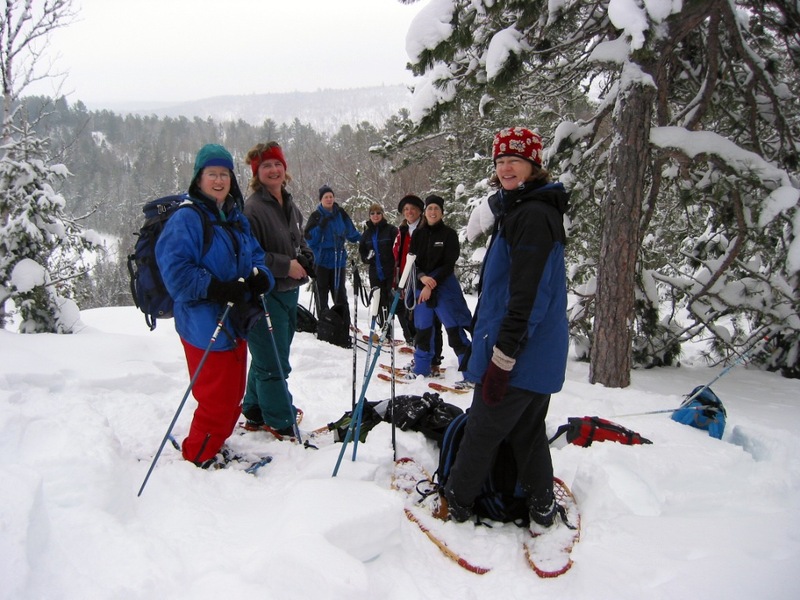 TERRAIN/ROUTE: You will ski, snowshoe, and sled over lakes and through the woods. The frozen lakes provide level and open terrain. Portage trails through the woods can be hilly. 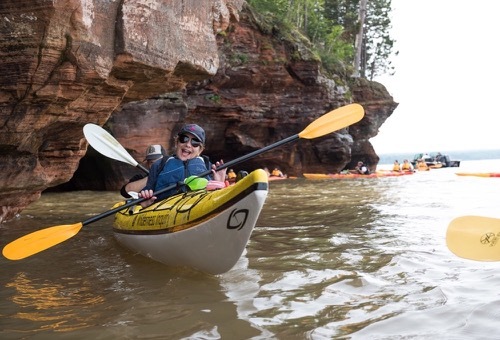 The Boundary Waters offers a wide range of route options from easy to very difficult, perfect for every level of adventurer. 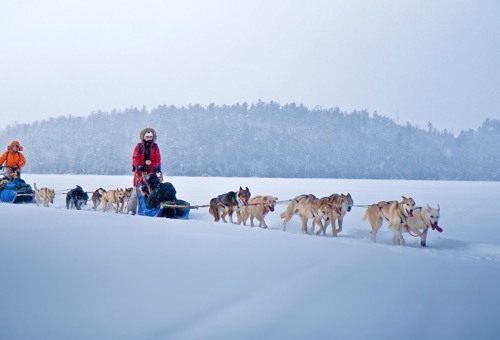 TYPE OF TRAVEL/DISTANCE: You will use cross-country skis, snowshoes, dogsleds, and pulk sleds. 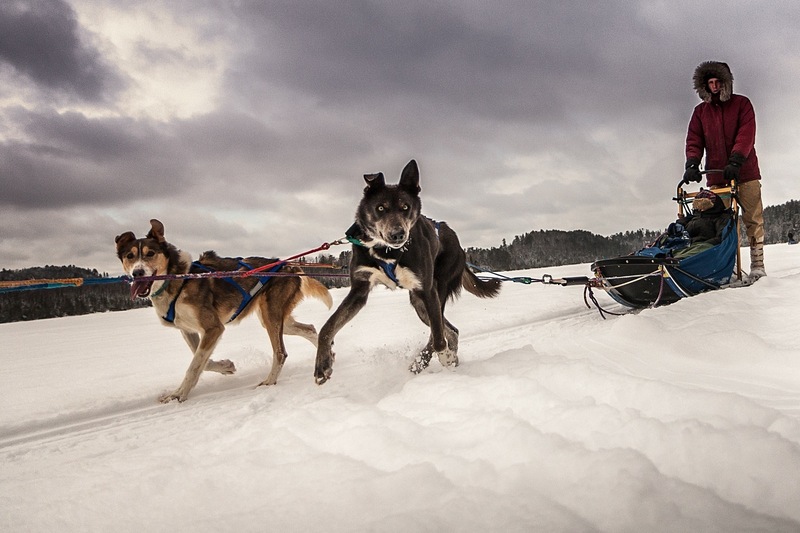 Pulks are one-person sleds, powered by another individual, used for transportation. An average day consists of 2-6 hours of activity, depending on weather conditions. 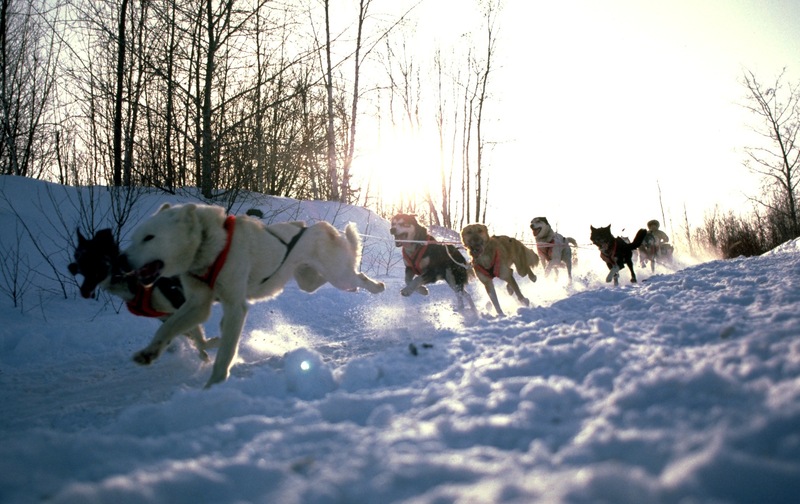 Dogsledding is extremely dependent on weather, snow conditions, and the dogs. You can expect at least a 15-minute ride, but if conditions are right plan on a much longer experience. Travel distances vary from 3-8 miles per day. No previous experience is needed to participate on this trip. WEATHER: Temperatures in the winter months range from -40 F to +40 F. With proper gear and clothing you can stay very comfortable. 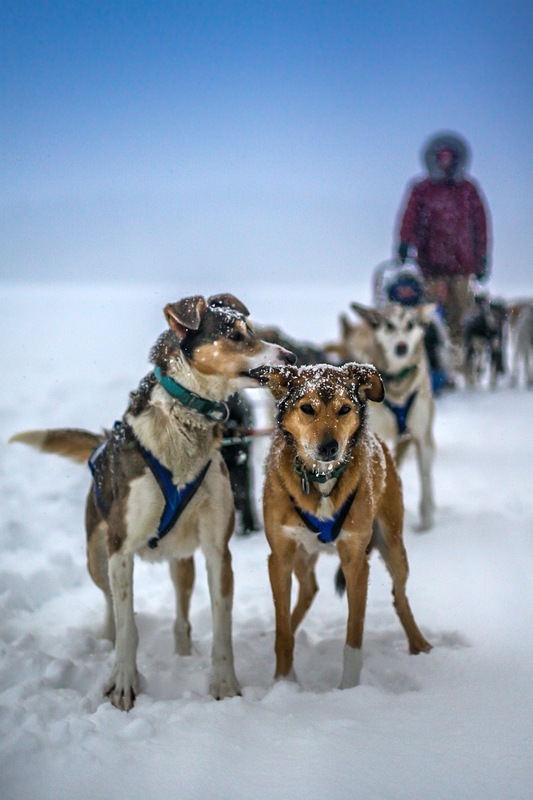 YOUR GROUP: The group size ranges from 15 to 20 participants, plus 2 or more Wilderness Inquiry staff in addition to the Camp Menogyn dog mushers. Each group consists of people of various ages, backgrounds, and abilities. Our trips are collaborative in nature. WI staff will assist you in whatever areas you need, however, most people pitch in where they can. ACCOMMODATIONS: Participants share rooms and sleep in bunk beds. Camp Menogyn is a modern facility; however, most people will be asked to use an outhouse. An indoor bathroom is available for those who are unable to venture outside easily. Bathing is done the “Finnish way” in the sauna on our last night. MEALS: All meals will be prepared for you by Camp Menogyn. You can expect fresh fruit and veggies, nutritious meals, and snacks throughout the day. If you have special dietary restrictions, be sure to let Wilderness Inquiry know ahead of time. 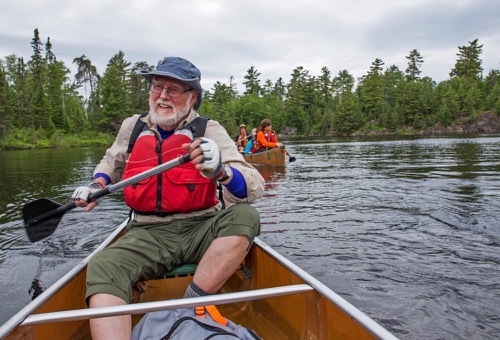 This trip officially begins at 3:00 PM at the landing for Camp Menogyn on Bearskin Lake off the Gunflint Trail. The trip ends at 10:00 AM at the same location. You can use your own transportation and meet us at Camp Menogyn or take WI’s van transportation from Minneapolis for an additional fee. 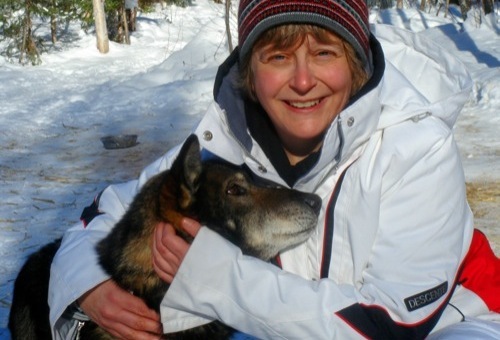 To ride in the WI Van, meet at Wilderness Inquiry Headquarters in Minneapolis at 7:30 AM on the first day of the trip. The shuttle returns to Minneapolis at 6:30 PM on the last day of the trip. For those driving on their own, Menogyn is about 6 hours northeast of Minneapolis, and 3.5 hours from Duluth, MN. Detailed meeting place instructions will be sent to you when you are confirmed for the trip. Booking a Flight? We recommend flying in to the Minneapolis St. Paul International Airport the night before your trip, and flying out from Minneapolis St Paul International Airport after 9:00 PM.